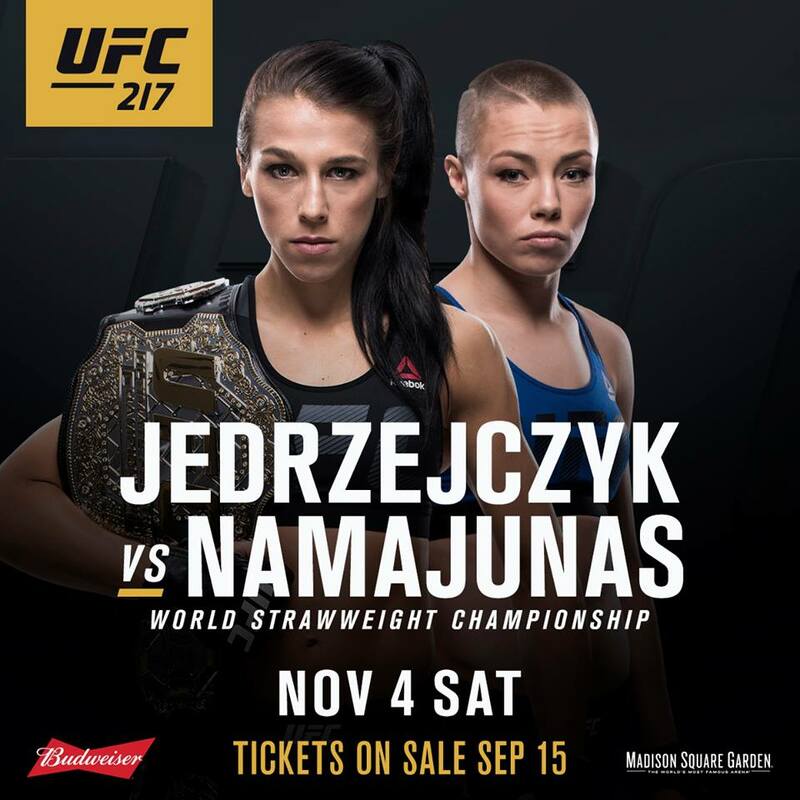 Don't miss the UFC 217 main card tonight featuring a strawweight title fight between champion Joanna Jedrzejczyk (14-0) and "Thug" Rose Namajunas (7-3). 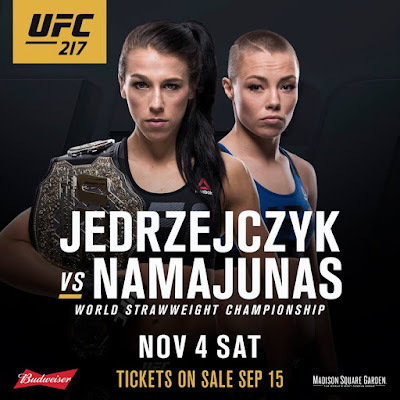 Will Joanna make another successful title defense or will a new champion be crowned? Catch all the action from Madison Square Garden in New York City or live on PPV starting at 10 PM ET. Good luck ladies!